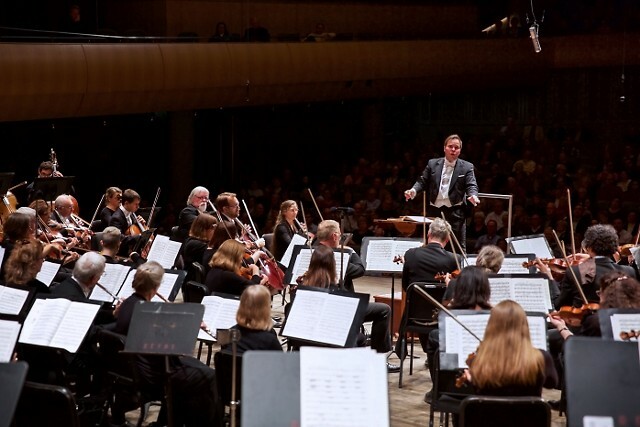 Grand Rapids Symphony celebrates the 100th anniversary of Leonard Bernstein's birth with music from 'West Side Story,' 'Candide' and more in an all-Bernstein concert, Nov. 2-3. Leonard Bernstein, a pianist, conductor, recording artist and larger-than-life personality, almost certainly is the greatest American-born musician the world has yet seen. The former music director of the New York Philharmonic led an international orchestra, chorus and soloists in performances of Beethoven’s “Choral” Symphony No. 9 on Christmas Day in 1989, shortly after the fall of the Berlin Wall and the end of the Cold War. 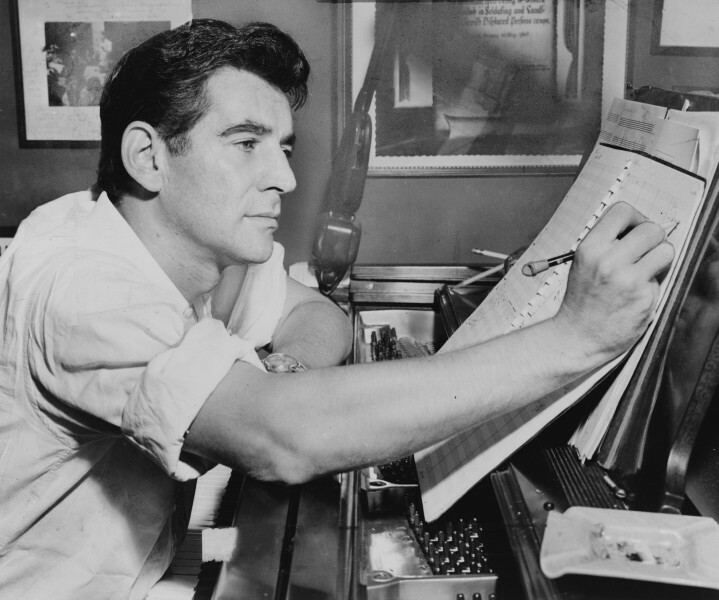 Bernstein, who died in 1990, would have been 100 years old in August. “Lenny is gone, but he lives on through his music,” said Gwenneth Bean, a West Michigan contralto who enjoyed a close professional relationship with Bernstein in the last decade of his life. 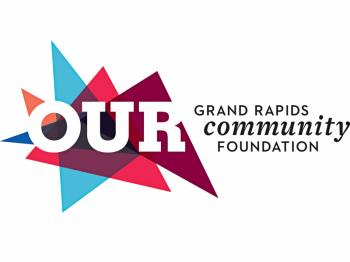 Grand Rapids Symphony celebrates his life and music with an all-Bernstein salute, Bernstein’s 100th, on Friday and Saturday, Nov. 2-3, in DeVos Performance Hall. Guest conductor Carl St. Clair, music director of the Pacific Symphony Orchestra in California and a former protégé of Bernstein’s, will lead the orchestra in selections from “West Side Story” and “Wonderful Town” with soprano Celena Shafer. Pianist Benjamin Pasternak will be soloist in Bernstein’s “Age of Anxiety” Symphony No. 2. The concert in the Richard and Helen DeVos Classical series will include the perennially popular Overture to “Candide.” Tickets begin at $18 adults, $5 children. 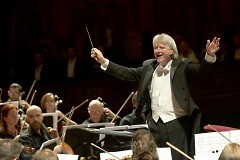 Call (616) 454-9451 or go online to GRSymphony.org. Though it’s been more than 28 years since Bernstein’s death at age 72, several Grand Rapids Symphony musicians worked with him briefly. Principal oboist Ellen Sherman performed under Bernstein as well as under Marin Alsop, now music director of the Baltimore Symphony Orchestra, in 1988 at the Schleswig-Holstein Music Festival in Germany. Others worked under Bernstein at Tanglewood Music Center, the summer home of the Boston Symphony Orchestra, in the Berkshire Hills of western Massachusetts. “We were a bunch of excited puppies eager to obey his every command. Or at least I was,” said violinist Linda Nelson, who played under Bernstein in 1979 at Tanglewood. “It seemed to me that Leonard Bernstein lived the life of a classical musician to its absolute fullest, openly showing his love for music and for communicating that passion to others,” Eppinga said. Bean, who performed in March 1997 with the Grand Rapids Symphony as soloist in Gustav Mahler’s “Symphony of a Thousand” Symphony No. 8, enjoyed a close relationship with Bernstein for a several years in the 1980s. Trained as a nurse, Bean had joined the chorus of the Lyric Opera of Chicago and had made the jump to solo roles. Her career was just getting stated when she appeared in a performance of Tchaikovsky’s “Eugene Onegin” at the Lyric Opera of Chicago. 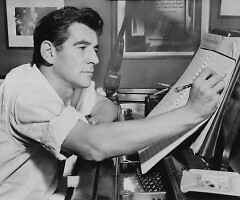 Bernstein saw the performance, which aired on PBS-TV, and he invited her to come to New York City and audition for him to perform in his Songfest Cycle. She arrived at Bernstein’s home in the famous Dakota Hotel in time to see Lauren Bacall getting into a limousine, and she chatted briefly with Roberta Flack on the way into the building. After a series of musical instructions, Bean sang again. By the time she got home, Bean had a message that Bernstein wanted to hire her for a tour of the United States and Europe as one of six vocal soloists in his 1977 cycle of songs for six singers, set to texts by American poets. The Muskegon native traveled for several weeks on Bernstein’s private jet, staying in hotel suites in London, Paris and Rome. In 1986, Bean worked with him again for six weeks, appearing in Bernstein’s opera, “Quiet Place,” in Vienna. Between the two, she spent long hours talking with Bernstein about many things. Bean spent several years on the roster of the Metropolitan Opera in New York City, and she’s appeared in many of the world’s leading opera houses. But she said nothing tops working with Bernstein.